Thank you for my new smile. What a great team and a lovely gentle dentist! There has been a dental practice at 174 Otley Road, Leeds since the late 1940’s. 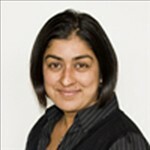 The current owner is Dr Precious who qualified from Leeds Dental Institute in 1998. The practice team prides itself on providing excellent family and cosmetic dentistry in a modern and friendly environment. There is ongoing investment into equipment, surgeries, systems and team development to help ensure a consistently high level of service. The clinical team is not only highly competent in their field, but also approachable and easy to talk to. Our aim is to make your experience with Far Headingley Dental Care as pleasant and comfortable as possible. In February 2008 Far Headingley Dental Care was awarded Good Practice Status by the British Dental Association. This means that we meet the strict quality standards as prescribed by the BDA. These standards not only reflect on the high quality of our work, but also on our team, suppliers, our systems, policies and our approach to health and safety. In September 2008 FHDC was short listed for the UK Private Dentistry Awards in the category of Most Improved Practice in recognition of both the aesthetic, environmental and process improvements the team has recently made to the practice.